The Brooklyn bathroom suite has a modern squared design that will give a designer look and feel to your bathroom. The toilet has a short projection making it ideal for small bathrooms, it also features a dual flush cistern for improved water consumption and comes complete with a choice of standard or soft close seat. 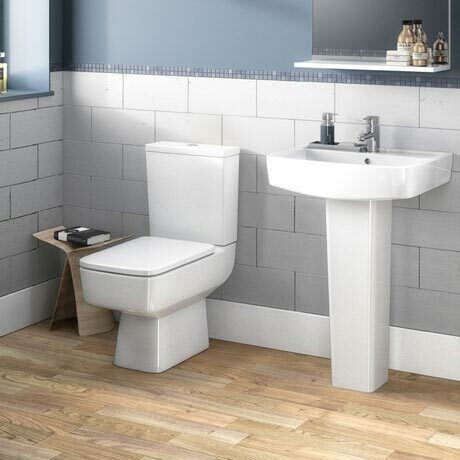 The basin and pedestal complements the toilet with its angular design and is available in a choice of two sizes.